Alfred Blake , Interested in anything entrepreneurship/intrapreneurship and growing as a person. It’s not often that you get to meet the real-life embodiment of any concept, much less a concept so talked-about yet so ethereal as “grit.” My own experiences building character–through some trials and hardship–have been crucial to my growth. Grit is a tool, ultimately, but it is also developed by a set of circumstances. One of my favorite books “Mindset” by Carol Dweck helps to detail how to train oneself for personal, relationship, and career growth. Much has been said about the subject since Grit’s release with a peppering of anecdotal examples of grit in media. But the contemporary reduction to practice, encapsulated in one person, hasn’t come to light until now. I have had a long list of failures that have propelled me to be able to meet fascinating vanguards such as Jordan French. This travel through the depths of despair has allowed me to bypass failures and triumph with equal parts of success and discipline to, over years, master several subjects. It is in through this lens that I met Jordan French, the author of The Gritty Entrepreneur, which details a series of events nearly comedic if they weren’t tragically and joyously true: Death, an epic public betrayal, a zeal for life and systematic building of a personal brand replete with robots that–get this–3D print pizza for astronauts. Jordan French is working on a new book and community movement he’s calling The Gritty Entrepreneur. He hinted at a few revelations during a coffee meeting in Manhattan around what he called a “tempest in a teapot” regarding his first startup, Wiki-PR, on Wikipedia. Widely covered in the media, French–shortly after a two-year stint at the Federal Energy Regulatory Commission serving “the people” in energy market manipulation cases–quietly built up the largest paid editing service on Wikipedia. According to media coverage at the time, the Wikimedia Foundation paid some of its editor base but was caught between a rock and a hard place as a few editors took issue with French’s firm at the time, which he built to a 30-employee operation and millions in revenue in under twelve months. The incident put French squarely in the gunsights of the Foundation itself. A firm that would later pivot to work on Google search results and earned the nickname “The Olivia Pope of the Internet,” French built his company even larger under the name Status Labs. His story takes a sharp turn in what reads like it is from the television show, Scandal, itself: French’s business partner, an acolyte of Bill Clinton’s self-acclaimed masters of disaster, OK’d the demolition of a local store in Austin, Texas, to make room for a growing Status Labs. A callous text message, in which French’s partner replies “hahaha” to a final ask from the person in charge of the demolition causes French’s world to come crashing down, quite literally. Betrayed, the man was left for dead. 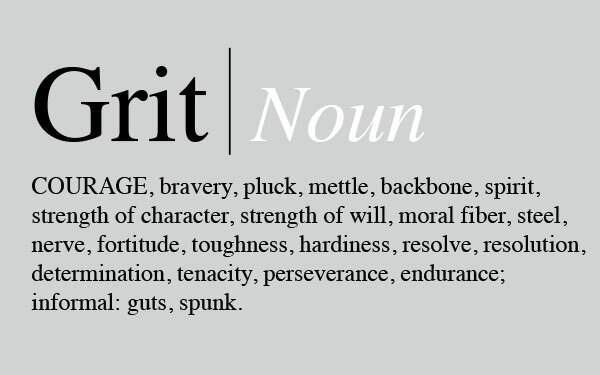 In the spirit of grit however, it’s not what happens but how you respond. French took the weight of the blame and betrayal in stride to–get this–start a slew of successful businesses. Recognized as the marketing genius behind what was a grant project, French was tapped to market 3D food printing for BeeHex, which turned itself into a very serious military contractor after a barrage of media attention, events, and funding. In a separate business, BNB Shield–nicknamed by CNN as the “Airbnb Police”– French’s CEO-partner, Jacques Casimir died suddenly at age 36. Left to the two remaining partners, one of which was only age 23 at the time and with the loss of their friend and lead collaborator, the company soldiered on to manage over 10,000 properties with its real-estate software that tells municipalities and tax authorities when and where people offer up their homes for short term rent. Amidst his hardships, the betrayal by a friend of over a decade at Status Labs chief among them, allegations that his partners proceeded to steal hundreds of thousands of dollars according to Austin Business Journal, which followed the trajectory of French’s first major success. In court, a judge slapped his partners with a temporary restraining order for their fraud. With folksy charm, French explained that not all of grit building is confrontation and hardship. French has been not just a serial entrepreneur with a few notable successes but also the fly on the wall for the rise of a number of high profile entrepreneurs from Jon Fisher, Hollywood’s Walter O’Brien, Gary Vee, and Gerard Adams following his exit from Elite Daily.